Plain paper is all that’s needed to print your requests for quotation, orders or reports. 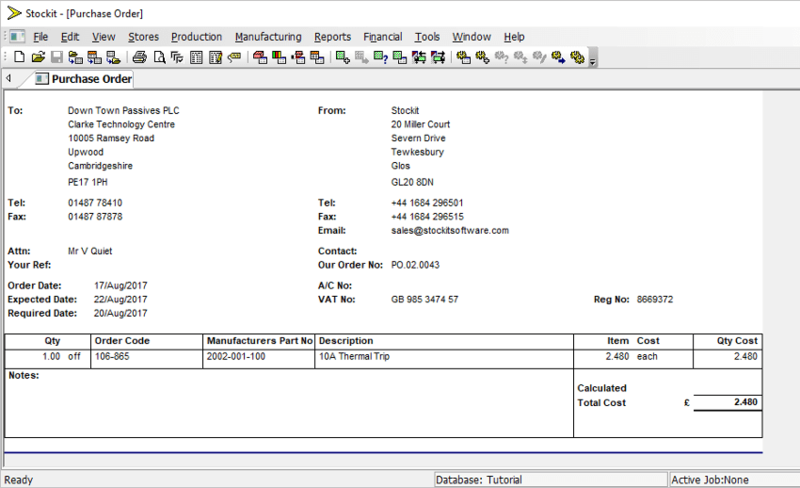 You can of course set-up the Stockit print manager to take account of pre-printed company stationery. In addition to using plain paper and the standard templates, you can also customise a printing template containing your own company logo and layout to be used when printing. As well as paper format, this aids the flow when exporting to electronic formats such as PDF sent through via email.